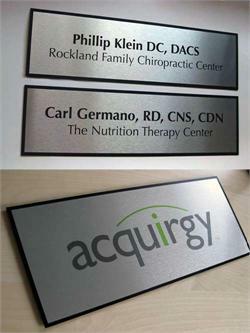 This interior custom office sign measures 11"W x 2.5"H, and you can add your personalized text at no additional charge. The standard size serves many purposes for professionals, office doors, cubicle name plates, reception areas, hospitals/doctors, lawyers and government offices, but we can customize the dimensions to better suit your needs. 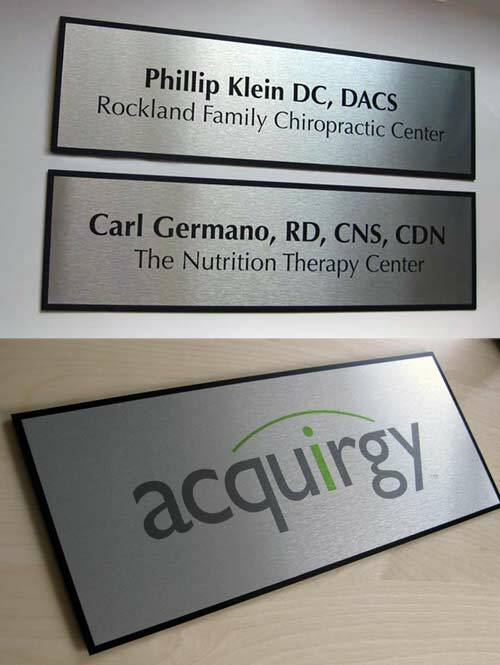 These premium office door signs offer an elegant and unique solution for your metal nameplates and directional signs. The printed aluminum plate is mounted to a rich, matte black 1/16" piece of acrylic, which reinforces the sign and also creates an attractive 1/4" border.